The Silver Bell Jazz Band represents authentic jazz with a beautiful blend of jazz roots that moves the soul. 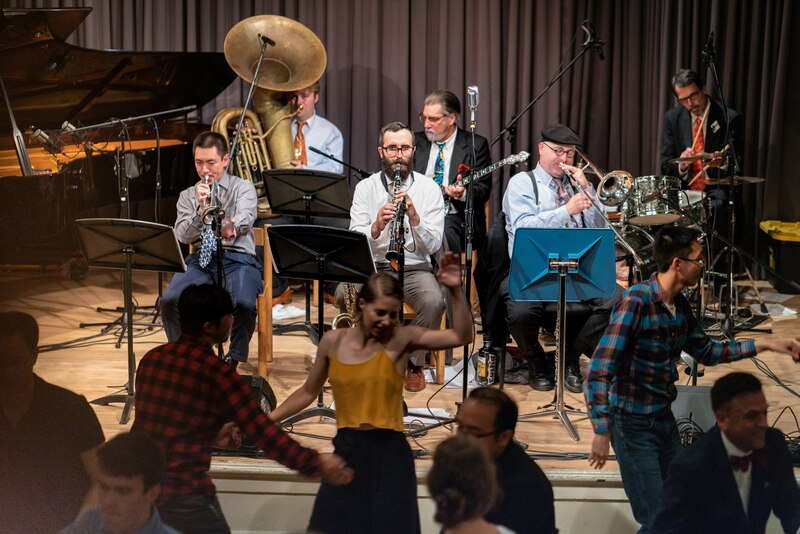 With international Lindy Hop instructor Ryan Calloway leading the band, they play with a special focus towards dancers. Ryan assembles musicians from all over the Bay Area and with a rotating cast of jazz musicians, you’re sure to get a fresh, breathtaking experience each and every time, just like in the early jazz sessions.